Manufacturing process: The fin strip (normally aluminum and copper) is folded into an L Foot and wound onto the base tube surface under tension. The feet of the fins are joined together and cover the finned surface. 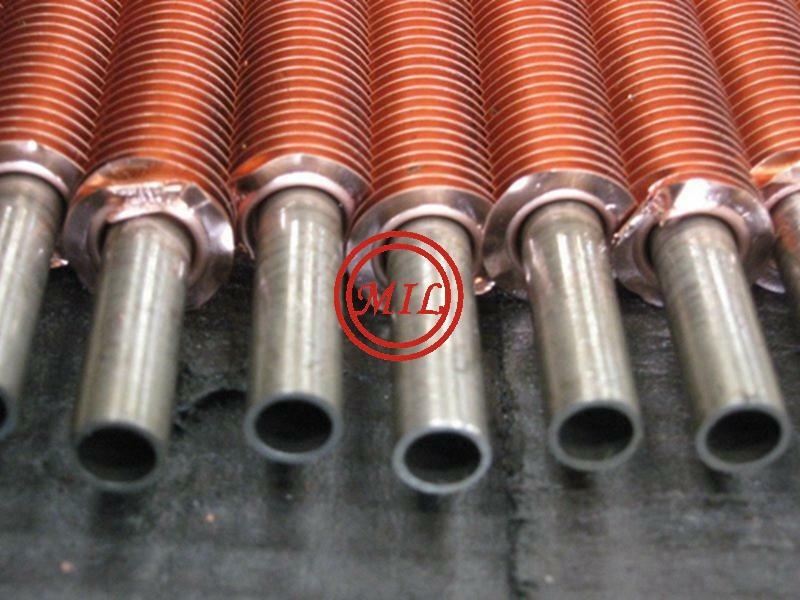 Tube ends are square cut, free burrs, internally dried and air blown clean, externally coated with varnish at both ends of L Type Tension Wound Finned Tube. 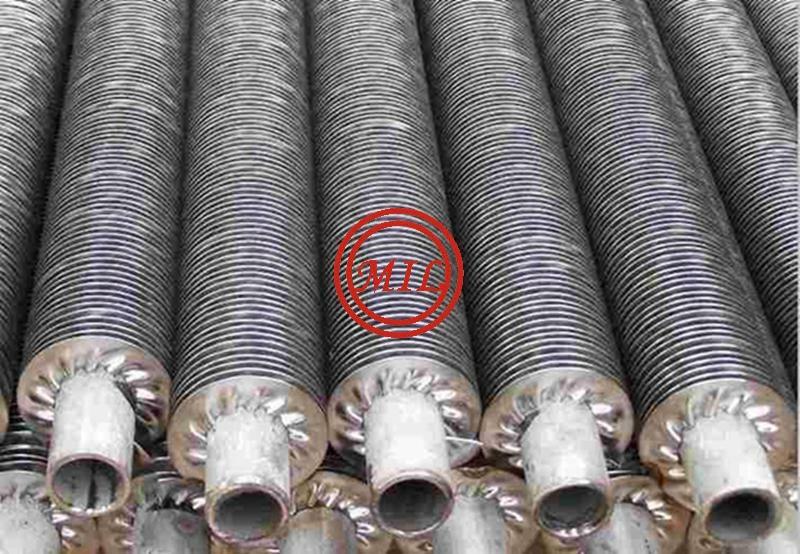 L Type Tension Wound Tube is combined with two different materials. 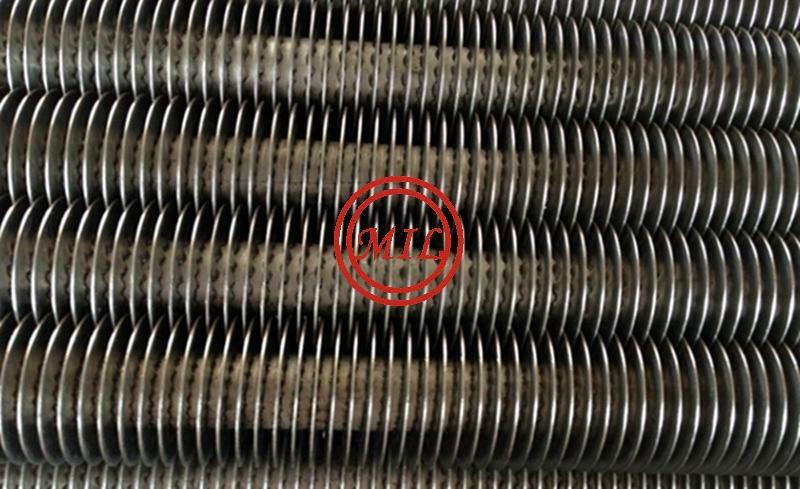 Standard Met︰ L-Foot Tension Wound Finned Tubes also called Wrap-On Finned Tubes, which used in applications where temperatures lower than 300 degrees Fahrenheit. 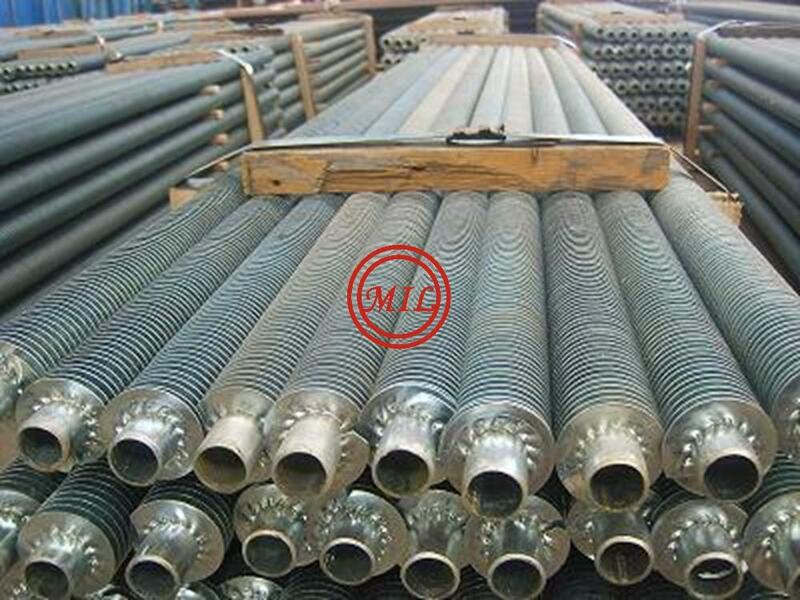 In other words L fin tubes mainly used in low-temperature application where some degree of tube wall protection is needed. L-Foot tension wound fin tubes consist of two parts, aluminum fin and base tube. The thin aluminium fin strips tightly wound helically around the base tube circumference. A foot is first formed at one side of the fin strip (Called the name L foot). The strip is then wound tightly around the tube, with the foot bearing on the tube's outer surface. These short horizontal limb of each L are in full contact with the base-tube surface to cover it completely. While Tension in the fin strip as it is wrapped around the tubes serves as seat the fin foot forcefully on the tube, and then to hold the fin firmly in place. L-footed finned tubings offer maximum heat transfer at lower temperatures circumference. The unique L-shaped design holds fins rigidly to withstand heat cycling and high velocity air vibration. These fins offer a certain degree of atmospheric protection of the tube wall anti corrosion. 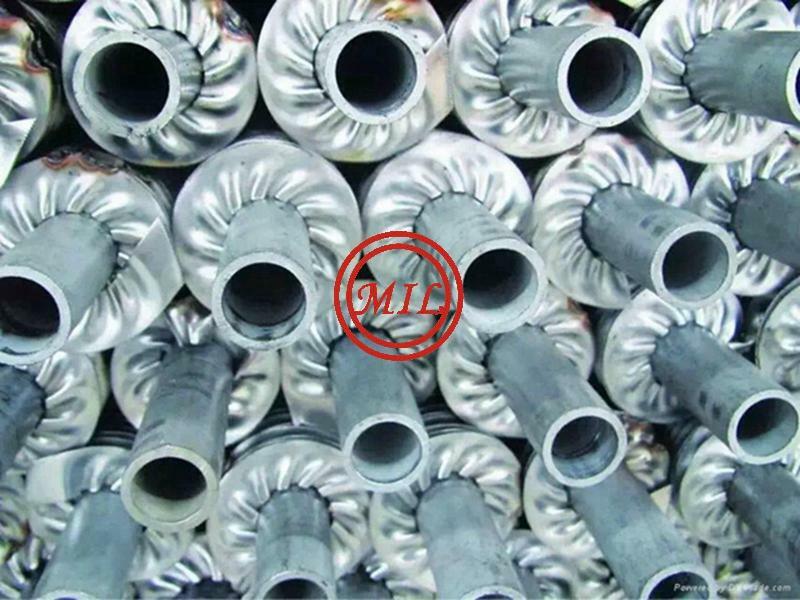 The broad contact surface between the tube and the finning enhances heat transfer. This fin design is highly efficient and cost effective. The ends of the fins have to be stapled to prohibit the aluminium fin from unravelling or loosing the contact between the fin foot and the base tube. 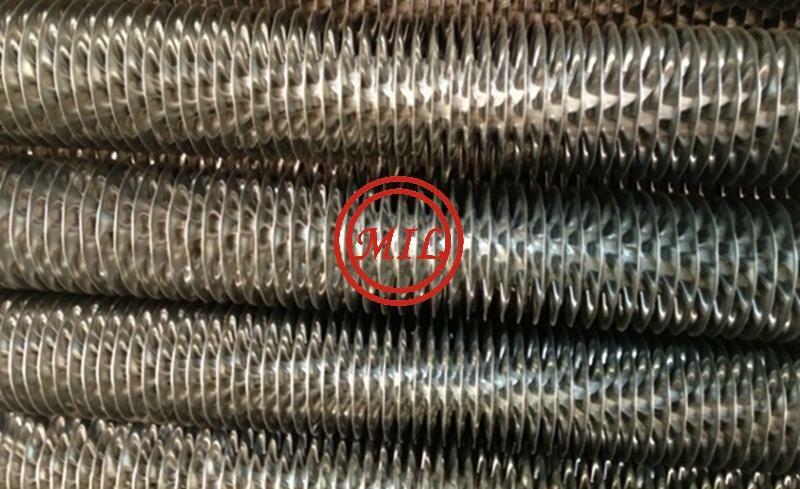 This contact is critical to the operation of the air coolers, since the heat is transferred from the tube wall, through the fin, to the surrounding hot air. This kind of finning type is the most cost effective way compared to the others. The failed fins could easily removed during production and bare tubes can be used again for finning. 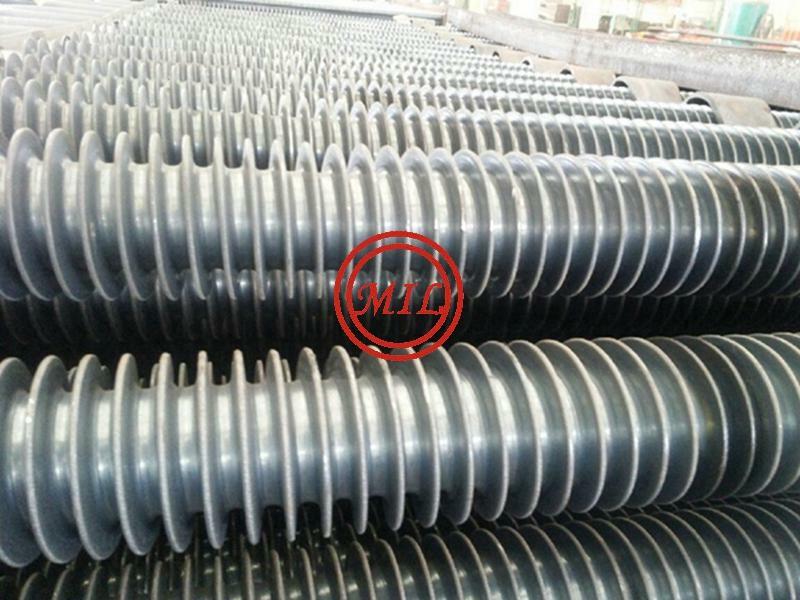 There is no need to make a helical grove over the core tube. It is possible to place the fins on a super thin-walled tube with is particularly desirable when using expensive alloys as core tubes. 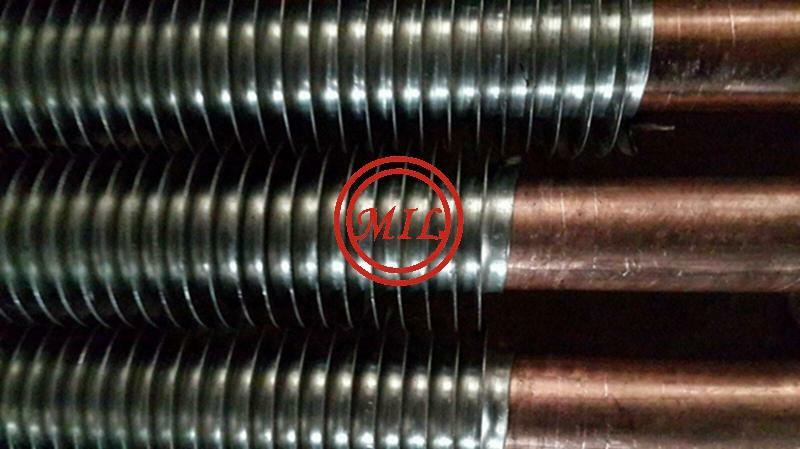 The tubes can withstand a temperature of up to 130°C without the risk of atmospheric corrosion or thermal stress. Handling shall be careful done with care to avoid any damage.